Emory Johns Creek Hospital will host several dozen cancer survivors this weekend who are training to become CanCare volunteers. Emory Johns Creek Hospital will host several dozen cancer survivors this weekend who are training to become CanCare volunteers. CanCare is a nonprofit organization that offers emotional support to cancer patients and their families and caregivers through a network of more than 750 volunteers. 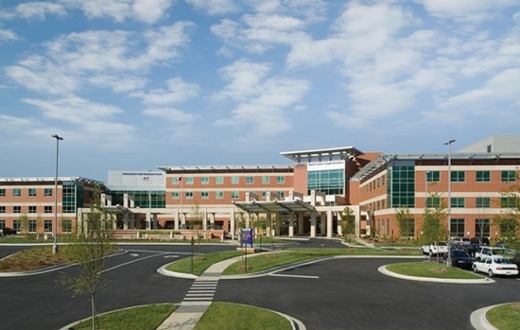 The training will be held at Emory Johns Creek Hospital from March 20-22, 2015. CanCare volunteers act as mentors to patients during their cancer treatment and work with family members to provide encouragement and hope. "CanCare volunteers have been supporting patients and their families at Emory Johns Creek Hospital since 2013 and we are excited to host another group of volunteers-in-training this weekend," says Connie Masters, RN, MSN, unit director of the Emory University Hospital Midtown Infusion Center located at Emory Johns Creek Hospital. "Volunteers are matched with current cancer patients based on cancer type and treatment, so patients can gain support from someone who really knows what they are going through and experiencing." CanCare has trained approximately 60 new volunteers over the last three years, and continues to grow in its efforts to provide cancer support within our community. CanCare also trains caregivers of cancer patients, providing emotional support to the caregivers of cancer patients. Unfortunately when cancer strikes, it affects the whole family. The approach to cancer treatment at Emory is to care for the entire family. "We are all in this together -- to provide state of the art cancer treatment, emotional and spiritual support for the patient and their loved ones," explains Masters. To become a CanCare volunteer, one must either be a cancer survivor who has completed treatments for at least six months, or the caregiver/family member of a cancer survivor. Volunteers can work at various hospitals and clinics throughout metro Atlanta. "CanCare volunteers help patients cope with a cancer diagnosis, give support during treatment and enable patients and family members to move forward," says Neal Kuhlhorst, MDiv., LMFT, development coordinator for CanCare in Georgia. "The hope of survivorship is often the guiding light that motivates us to press ahead, while the gift of survivorship is shared by CanCare volunteers who desire to ‘give back’ through the encouragement and support that lights the way." During the training, volunteers will learn how to talk with, support, educate and mentor cancer patients and their families. They will also tour Emory Johns Creek Hospital and its infusion center and go through volunteer orientation. Founded in 1990, CanCare now partners with more than 130 corporations, hospitals and congregations of varied faiths. To find out more about becoming a volunteer, call Kay Royal at 678-977-1467 or visit http://www.cancare.org/.